At Napolean Bakery in Apgujeong. 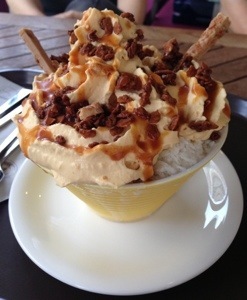 This entry was posted in Food and tagged Caramel bingsoo by easykorean. Bookmark the permalink.